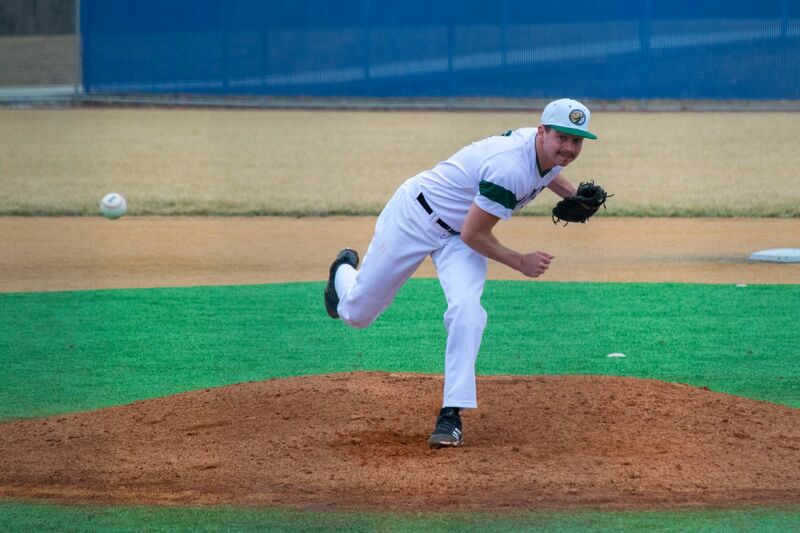 The Bemidji State University baseball pitching staff threw two effective games Sunday afternoon against University of Sioux Falls to help in a split. The Beavers’ (4-12, 2-2 Northern Sun Intercollegiate Conference) starting pitchers combined to throw 14.1 innings and 10 strikeouts, while junior Jesse Palafox recorded his second save of the season. 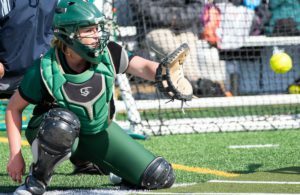 The Bemidji State bats did not get fully hot during game one, as the team combined for just two hits on the day. The Cougars took advantage of two first-inning runs while senior BSU pitcher Connor McNallan followed with four innings of scoreless pitching. McNallan threw four strikeouts between the second and fifth innings, and finished the day with a season-high six. BSU recorded its two hits within the first three innings but found a chance to comeback in the seventh inning after McNallan held USF close. The first two Beaver batters of the seventh reached by hit by pitches, while sophomore Isaiah Grancorvitz was brought home on an RBI ground out. The next BSU batter flied out as the game-tying run to end the game. McNallan (1-2) threw a complete game of 6.0 innings with five hits and two earned runs allowed, and totaled a season-high six strikeouts. Senior Scott Litchy and freshman Caleb Carlson each combined for BSU’s two hits while senior Bazil Zuehlke brought home the Beavers’ lone run on an RBI groundout. Both teams recorded two hits and one run in the first inning, leading to a 1-1 tie heading into the second. McNallan singled for BSU’s second hit of the inning to drive in junior Josiah Julagay for a 1-0 lead. After the Cougars scored the tying run in the bottom of the first, freshman Travis Carruth allowed just four base hits over the next 7.1 Innings. In the third inning, Carlson put a one-out double to right field prior to an RBI single by Litchy to give the Beavers a 2-1 lead. BSU proceeded to load the bases with only one out but could not extend the lead. 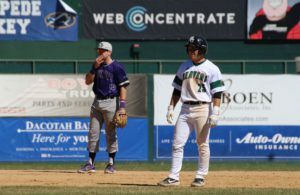 The Beavers again loaded the bases in the top of the fourth inning, this time with two outs, but again could not take advantage. The Beavers came through with two two-out doubles to extend the lead, the first coming in the sixth inning by senior Jack Wittwer and the second coming in the ninth by Grancorvitz. Wittwer’s knock brought in freshman Parker Borg while Grancorvitz’s hit drove in Litchy. Carruth (1-2) finished 8.1 innings in the game with six hits allowed, four strikeouts and two earned runs. Junior Jesse Palafox earned his second save of the season after closing out the final two outs of the game. Litchy went 3-for-5 from the plate to lead BSU and added one run and one RBI. Grancorvitz and Julagay each recorded two hits, while Grancorvitz, McNallan and Wittwer each tallied one RBI. 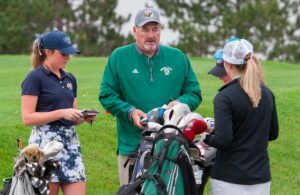 Bemidji State will take a week break following Sunday’s games before getting back to action Tuesday, March 27 at Concordia University-St. Paul.